Miners, cowboys, ranchers and madams helped shape the history of Leadville, one of America’s richest and most long-lived mining boomtowns. The Leadville campus of Colorado Mountain College opens a window into that history with Explore Historic Leadville weekend, taking place today through Sunday. The event spotlights the lives of the hardworking, rough-and-tumble settlers of Colorado’s Wild West through tours of a stagecoach trail, an underground mine, a cemetery, museums, a ranch and historic buildings as well as a theatrical performance. Festivities start this afternoon with a welcome and tour of the college campus, followed by a tour of the historic Hayden Ranch. 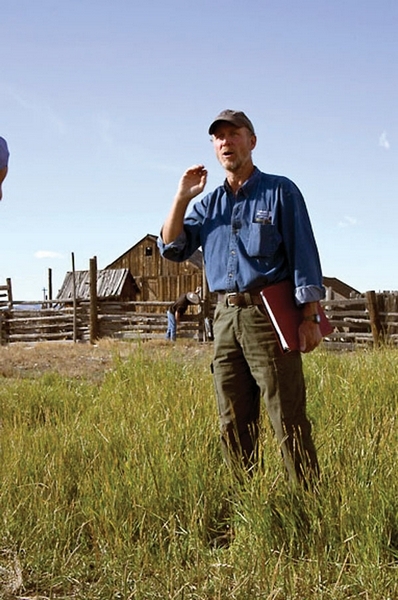 Located 8.5 miles south of Leadville, the Hayden Ranch is a Colorado Mountain College historic preservation project. Expert Steve Harris will share the stories of the buildings and corrals and explain how hay from the ranch fed the animals that made mining at Climax possible, and how its waterpower was harnessed to build most of the furniture for the town. Today’s schedule also includes a trip alongside the Arkansas River with stops at interpretive signs detailing the history of the Old Stage Road. On Saturday, participants will tour the Leadville mining district, enjoy a picnic lunch and tour at the National Mining Hall of Fame and Museum, take a guided tour of the Evergreen Cemetery narrated by fifth-generation Leadville resident Judge Neil Reynolds and choose between an afternoon tour of the Delaware Hotel or Healy House Museum and Dexter Cabin. The Saturday evening lineup includes a performance by the “Madams of Central Colorado” and dinner at the 126-year-old Delaware Hotel in downtown Leadville. The Madams bring some of the region’s “shady ladies” to life in their popular performance. The weekend concludes Sunday with an underground tour of the Hopemore Mine, where participants venture 600 feet down to explore an authentic hard rock mine, followed by rockhounding for semi-precious gemstones in the mining district with Joe Nachtrieb and a grab-and-go lunch. For Explore Historic Leadville lodging discounts and other event information, see http://www.bit.ly/OyiYcs. Participants are asked to use their own vehicles when transportation is necessary.